Super 8 Motel Disneyland Drive is conveniently located right off the Interstate 5 Freeway, at 5 And Disneyland Drive, at the doorway of the wonderful Disneyland and Disneyland California Adventure.Our amenities include free continental breakfast, free local calls, cable TV with premium channels and ESPN, high speed Wi Fi internet access, marble counter top with upgraded bathroom amenities, microwave and fridge, ice/soda machine, guest laundry, swimming pool and Jacuzzi and many more.Our close proximity to the Disneyland/California Adventure parking lot makes it easily accessible for our guests. If you do not wish to go through the trouble of driving, we are about a 10-15 minute walk from the Mickey and Friends Parking structure where our guests can take the free parking lot tram service to the Main gate. It is that easy.Anaheim is centrally located among many southern California attractions. 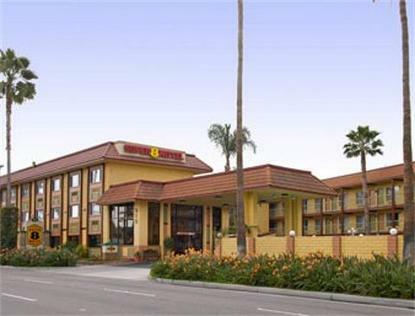 Staying at Super 8 Disneyland Drive will let you enjoy both Disneyland/Disneyland California Adventure and these must-visit attractions. We are just a short drive away from Knots Berry Farm-15 minutes, Universal Studios-45 minutes, Newport Beach-20 minutes, Hollywood/Beverly Hills-45 minutes, Downtown L.A.-30 minutes, South Coast Shopping Center-15 minutes, and many more.